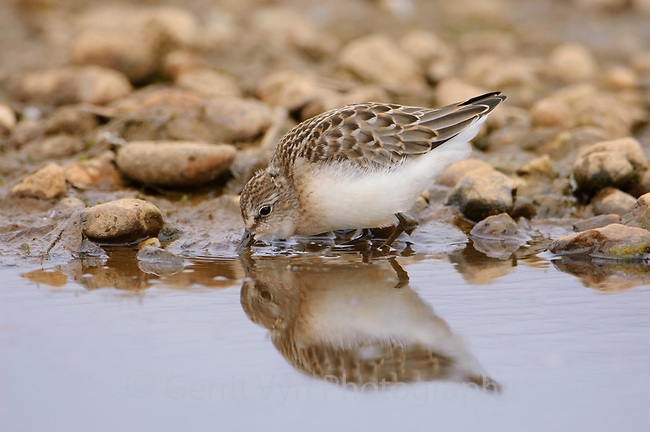 Juvenile Semipalmated Sandpiper (Calidris pusilla) foraging prior to its first migration south. Deadhorse, Alaska. july.